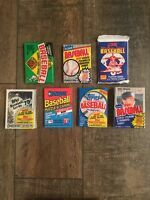 cardsnmore815 has no other items for sale. 1993 Topps Derek Jeter New York Yankees #98 Baseball Card. 1993 UPPER DECK SP FOIL #279 DEREK JETER BGS 8 NM/MT W/ 9.0,8.0,8.5,8.0 NICE!! $0.50 shipping for each additional eligible item you buy from cardsnmore815.